Home » ARSENAL CORNER » Can the Arsenal-Aubameyang Deal Still fall Through Like the Lemar’s? Can the Arsenal-Aubameyang Deal Still fall Through Like the Lemar’s? What happens if Dortmund fails to find a replacement? Dortmund will only give their nod only after finding a replacement, a position Arsenal was well aware. 24hrs after news filtered from Bild and Kicker about the agreement, and 48hrs to the deadline, Dortmund have not found the said replacement and Aaubameyang deal have yet to be sanctioned, leaving the fans on the edge! Although a lot of deals get done towards the end, and even on the last day of the transfer deadline, but Arsenal has got their hands burnt in the past trying to seal a major deal on the last day of the window, Thomas Lemar £90m bid comes to mind. If Dortmund fails to find a replacement can the club possibly stop Aubameyang Arsenal move? 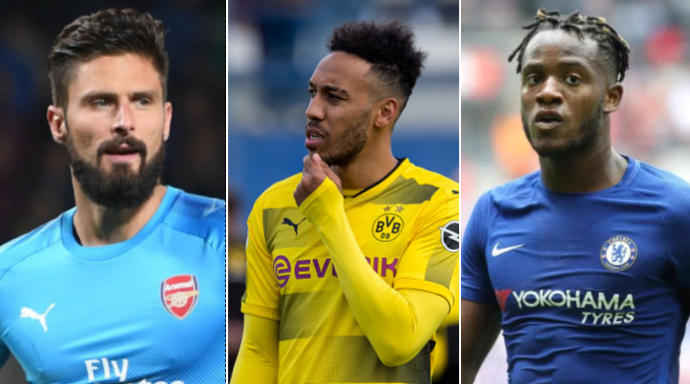 Olivier Giroud is a man in demand, he was wanted as part of the Aubameyang deal, but Arsenal apparently refused to throw him in the mix, Dortmund, on the other hand, is happy to negotiate a deal still with Arsenal, separately on Giroud for a loan or permanent buy. Giroud is reportedly reluctant to leave London, this has opened the door for Chelsea and the latest Westham United. Arsenal will reluctantly listen to an offer of £35m for Giroud, it seems from Chelsea and Maybe West ham. For Giroud’s sake, leaving Arsenal at least for the rest of the season is the most sensible thing if he is to secure a regular playing time to have a chance of joining the French team to Russia 2018 World Cup. Before Now he has been a fringe player at Arsenal, but the arrival of Aubameyang in addition to Lacazette in the team meant, his playing opportunity is all but cut to almost nil. Dortmund is looking at bringing Chelsea’s Michy Batshuayi to replace Aubameyang, but no concrete progress has been reported on that front. The Bild is reporting that he may land in Germany today for a medical ahead of a loan move, but Sevilla and Anderlecht are interested, so all is up in the air.